As previous post, I mentioned VMware platform to Microsoft Azure Site Recovery. This information is talked on Optimizing Your Datacenter with Windows Server, System Center, and Microsoft Azure by Matt McSpirit. In these few days of TechEd Europe 2014, I had a chance to chat with Matt McSpirit to get more information about VMware platform to Microsoft Azure Site Recovery. First of all, we need a process server. The process server is a key point in this process. It handles replication and conversion of virtual machines between VMware platform and Microsoft Azure. VMware tools won't be un-installed on virtual machines during replication and conversion because virtual machines will failover to both platform. There is no change in virtual machines. The solution isn't like Microsoft Virtual Machine Converter (MVMC) because MVMC converts virtual machines from VMware platform to Hyper-V platform. VMware tools will be uninstalled on virtual machines because we don't need to fail back to VMware platform. MVMC doesn't handle replication. This is the basic concept of VMware platform to Microsoft Azure Site Recovery. 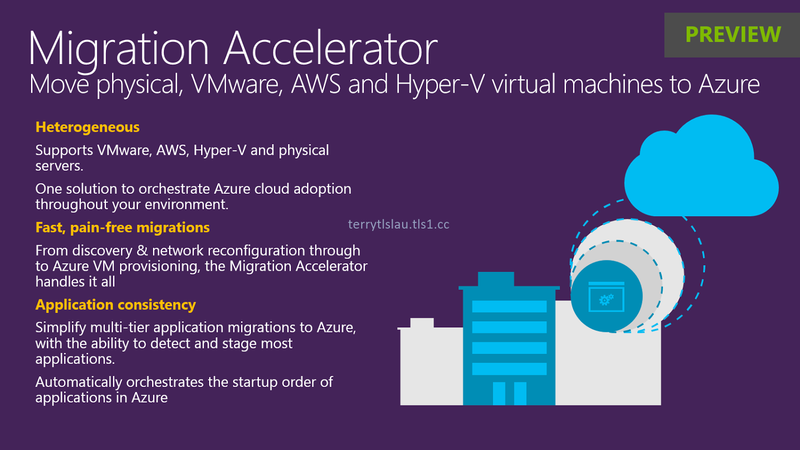 The solution name is Microsoft Migration Accelerator. It's on preview state. This product is based on InMage Scout. In preview state, It provided one-way replication from VMware to Microsoft Azure. Migration Accelerator doesn't support VMware only. It also supports physical server, AWS and Hyper-V to Microsoft Azure. To protect servers on on-premisses environment, we need to install an agent named Mobility Service on servers. Then, deploy process server on on-premisses environment to collect Mobility Service and communicate with Configuration Server and Master Target which are VMs are installed in Microsoft Azure. 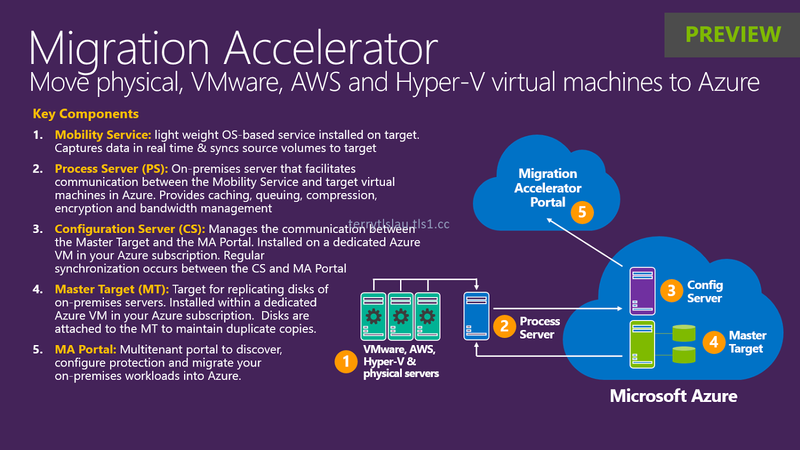 We can use Microsoft Migration Accelerator portal to discover servers. Then, install an agent to servers and failover servers to Microsoft Azure. For more information, please watch the following TechEd sessions. This solution will be available in 2015 so let wait and see it.